Unbeaten three-year-old Zoustyle's return to the races could be delayed until the Gold Coast Guineas. 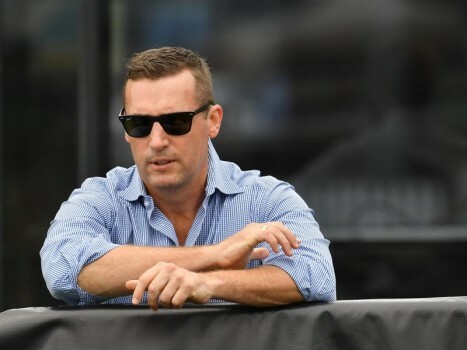 Gollan had considered a clash with speedy stablemate Ef Troop in Saturday's Listed Mick Dittman Plate (1100m) at Doomben, a traditional launching pad for three-year-olds heading to the winter carnival. Gollan said there was the option to trial Zoutsyle before running first-up in the Group Three Gold Coast Guineas (1200m) on May 4. Zoustyle is unbeaten in five starts and hasn't run since winning the Listed Gold Edition at Doomben on December 15. "We deliberately ended his summer carnival then to give him a good break with the winter in mind," Gollan said. Zoustyle is $7 in both the Group One Doomben 10,000 and Group One Stradbroke Handicap. Gollan said if Zoustyle failed to measure up to Group One races there were plenty of other lesser options for him. Ef Troop, whose career has been dogged by bad luck, won a trial at Doomben three weeks ago. "He did what you would expect. Burnt them off and then ran the fastest time of the morning," Gollan said. Ef Troop is looking at the three-year-old features during the winter. He was one of 23 entries for the Mick Dittman Plate taken on Monday with his stablemates Pizonie, Sundarbans and Vega One among the nominations. Flying Toowoomba filly Spirit's Choice is also set for the step up to stakes class after three recent wins and a close second to Mishani Hustler in the $200,000 Jewel 3YO two weeks ago. Trainer Matt Kropp scratched her from Toowoomba on Saturday to tackle the Dittman Plate. "She was just a little slow in the Jewel and probably spent a bit too much to lead. We are keen to give her a chance against the better horses," he said.